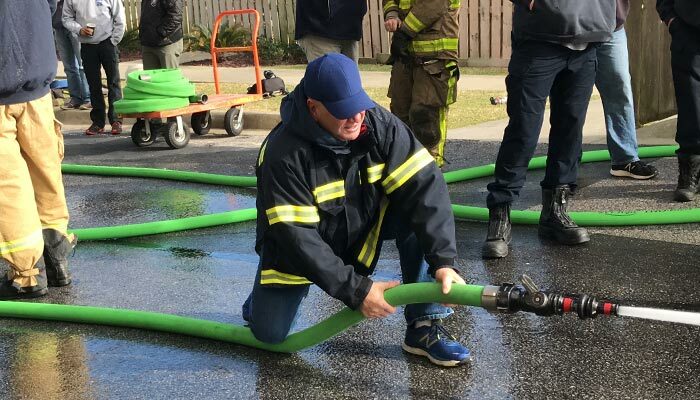 Born out of the challenges faced by today’s progressive firefighting community, Key Hose launches the first new diameter attack line in decades. Introducing TRU‑ID 2.25", the latest addition to true diameter hose solutions. When introduced in 2017, TRU‑ID set new standards for ergonomic, lightweight, high quality, double-jacketed attack lines. 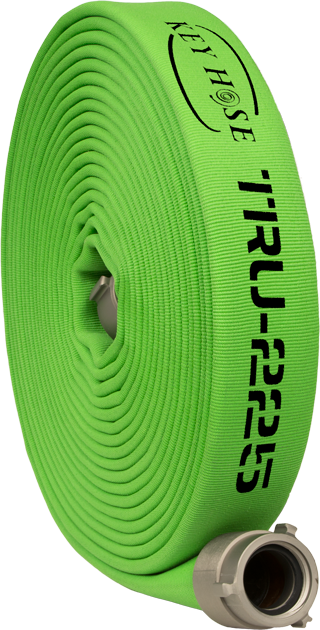 Now, TRU‑ID 225 adds more options to this game-changing line of high-performance attack lines. TRU‑ID 225 combines an exclusive true internal diameter of 2.25" with a smaller outside diameter for a more ergonomic grip, so firefighters can easily maneuver and precisely guide the handline. TRU‑ID 225 is ideally suited for high rise applications and large caliber attack line operations. When charged, each 50' length of TRU‑ID 225 eliminates over 20 pounds of weight clearly outperforming traditional 2½" attack lines. Premium double jacket construction offers higher abrasion and puncture resistance for maximum dependability. The exclusive tru‑tuned diameter is guaranteed to wash out kinks and deliver targeted flow rates while providing the nozzleman increased mobility with less fatigue. TRU‑ID 225 is designed for use with low pressure/high volume nozzles and comes standard with lightweight, laser engraved, extruded aluminum alloy couplings. These anodized, threaded expansion ring couplings are guaranteed for the life of the hose. The laser engraved TRU‑ID logo is your assurance of genuine TRU‑ID technology. Classic performance in an innovative design and rugged construction guaranteed to withstand the rigors of the fire ground for years to come. TRU‑ID 225 from the hose experts, Key Hose — get your hands on it and seize the power of targeted flows with command and control performance.